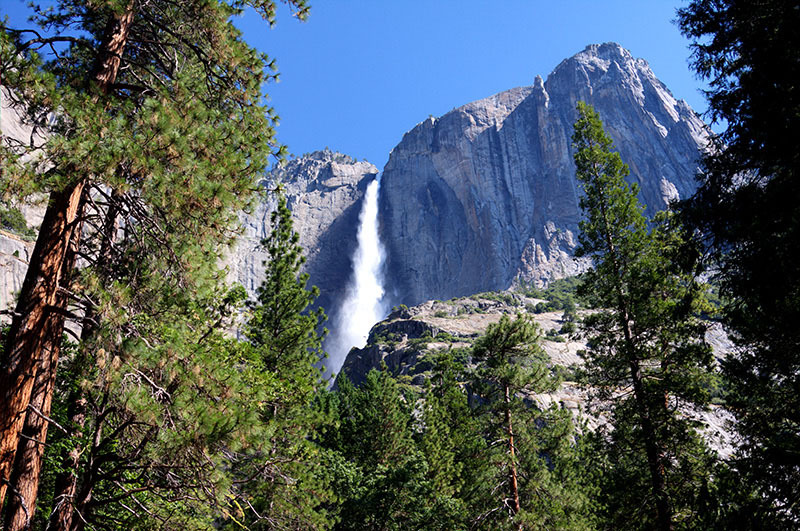 The Tioga Road in Yosemite National Park will open for the season on Monday, May 4, 2015, at 8:00 a.m. for all vehicular traffic. Due to a light snowpack this past winter, the Tioga Road was cleared of snow early into the season. The Tioga Road, bounded on both sides by State Highway 120, is the popular east-west crossing of the Sierra Nevada. Snow and icy conditions may still exist on hiking trails at the higher elevations. Visitors are urged to be prepared for snowy conditions and possible treacherous stream crossings while hiking the backcountry in the early season. Vault toilets are available in several locations along the road. Limited visitor services will be available over the next several weeks. Additionally, late spring storms may change the status of the road and cause temporary closures. For updated, 24-hour road conditions, please call 209-372-0200.